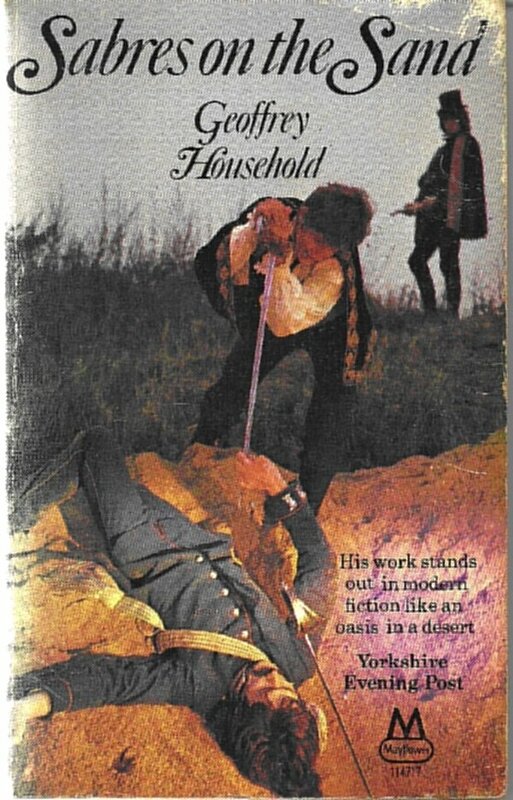 There was a time when Geoffrey Household really was a household name, or at least in households where good thriller writing was appreciated and other names such as John Buchan, Eric Ambler and Ian Fleming were bandied about. I first came across the name on the cover of a paperback edition of A Rough Shoot, a thriller written before I was born but now appearing in orange Penguin livery (rather than the traditional green indicating crime any mystery) with a stylish modern art graphic cover by Charles Raymond. It must have been that cover which attracted me – I was 12 and spending all my pocket money on thrillers – because I knew nothing of the film of the book (made in 1953 starring Joel McCrea and Herbert Lom with a script written by Eric Ambler) and had never heard of the author. After reading this short, sharp tale set mostly in darkest Dorset and populated by English country gentlemen carrying shotguns (as well as the odd foreign agent), I was, however, determined to find out more about this author which meant, in those pre-Google days, a trip to the local library. 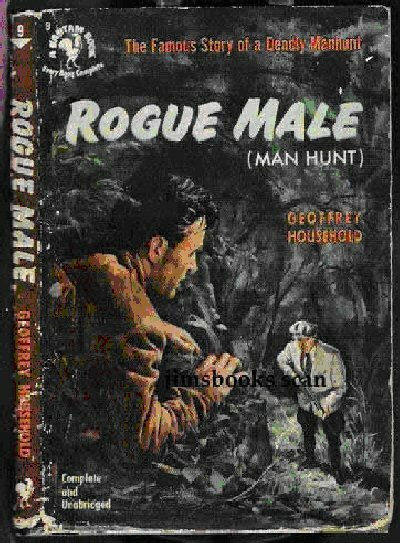 There, every reference I found pointed me firmly to an even older thriller; something called Rogue Male, which although first published in 1939 was not difficult to come by as it had remained in print more or less ever since –until recently the only Household title to do so, sadly. With Rogue Male I was hooked, not only by the story but also by the story of the book’s publication, which was almost as sensational. Initially published in three instalments in the Atlantic Monthly magazine, Rogue Male tells of an assassination attempt, scandalously in peacetime, on a European dictator – clearly Adolf Hitler, though he is never named – by an aristocratic but unidentified English gentleman and big game hunter. When the book version appeared in the UK, publication date just happened to be September 1st 1939, the day Hitler invaded Poland and Rogue Male was instantly on the way to becoming a classic and was quickly filmed by Fritz Lang in Hollywood under the title Man Hunt. 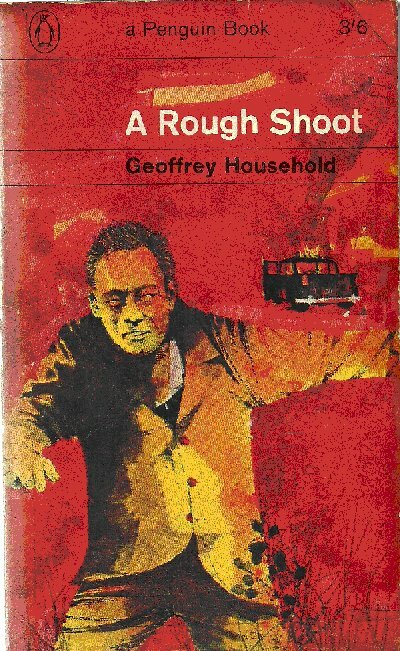 The reason Geoffrey Household, by then a 38-year-old Territorial Army reservist, should be so in demand by a War Office still technically at peace was due to his rather unconventional life up to then and it was that life experience which was to shape and permeate his fiction. As an unashamed romantic at the age of 21 he travelled abroad for the first time in his life, crossing Europe on the Orient Express “bound for the nineteenth century” where he found his starting salary of £400 a year secured him the lifestyle of “a gilded youth from P.G. Wodehouse” or, as he later wrote in a short story set in 1923: “one could have a lot of formal fun in Bucharest for next to nothing a year”. For four years of youthful, carefree, hedonism, Household enjoyed the social life on offer among the peasantry, eunuchs, Bessarabian horse dealers and slightly fading, but always interesting, aristocracy of the Austro-Hungarian Empire, but never once visited the oil fields of Romania or even learned more Romanian “than was necessary to call a cab”. In 1926 he relocated to Spain to try a fresh career as an importer of bananas, then moved to the United States “just in time for the Depression” and subsequently became a traveller in printer’s inks in South America. His time in Spain and then South America gave him a love of the Latin lifestyle and he always regarded himself as more of a romantic, hot-blooded ‘Latin European’ type rather than the more calculating, more rational, colder North European. 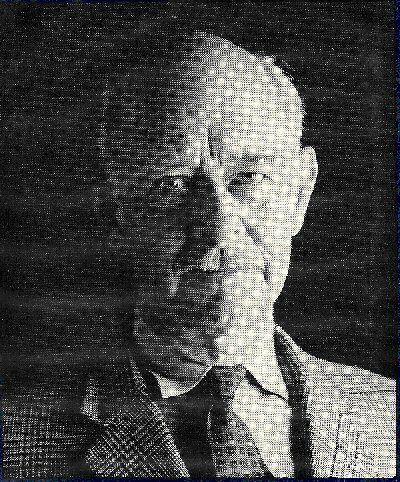 During his cosmopolitan wanderings he tried his hand at writing children’s stories, finding some success in the U.S. and published his first novel in 1937 as he finally returned to live in England, changing careers yet again to become a writer, just as the Europe which he had travelled extensively and shaped his life was about to go to war. 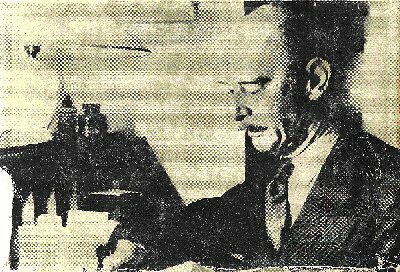 When, in that summer of 1939, the War Office summoned him for ‘special duties’ in MI(R) [Military Intelligence (Research), later to become part of the famous Special Operations Executive] it was, to his utter surprise, because of his experiences of Romania, fifteen years before, now that the Ploesti oilfields were clearly going to be of immense strategic value to an aggressive Nazi Germany. It was probably a slightly bemused Captain Household who found himself shipped to Egypt, still in peacetime, to begin a clandestine life in the Balkans. As a fluent Spanish-speaker by now, he had half-expected that his ‘special duties’ would have consisted, romantically, of organising Basque or Catalan guerrillas to rise up against General Franco’s Fascists. Instead, he found himself posing as an Insurance Agent and travelling via Palestine, the Lebanon and Turkey, to (neutral) Romania where his orders were to plan the destruction of the oilfields in the event of a German invasion – just as his third novel Rogue Male was receiving great critical acclaim and success back home. However, the plans of Household’s amateur, but very willing, group of saboteurs were compromised in July 1940 when a French agent who was aware of them was arrested by the Gestapo in Paris. And as the Germans, Hungarians and Russians began to carve up Romania, Household and his Polish driver made a final defiant journey into occupied Transylvania in a British Legation car proudly flying the Union Jack. 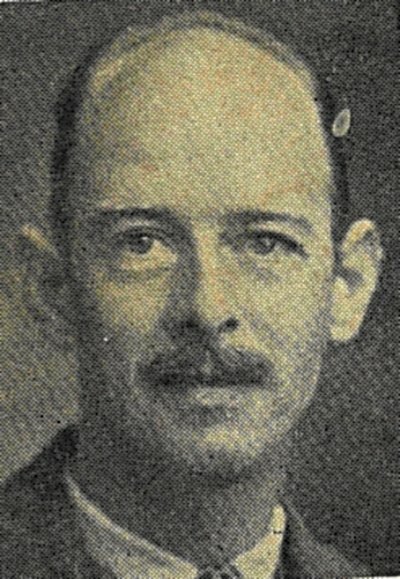 It is doubtful if he had much time to visit the restaurants of Athens, as the Germans invaded in April 1941 and Captain Household joined the British retreat and evacuation from Greece, hotly pursued by Nazi dive-bombers across terrain which would, forty years later, feature in Rogue Justice. From that point, Household insisted he was a ‘non-combatant’ for the rest of the war, remaining in army Field Security and serving in Jerusalem and Beirut (whilst the film Man Hunt was playing in cinemas back in England) and Baghdad in Iraq, returning to Europe in 1945 for one final, traumatic posting to North Germany where he saw the liberation of Sandbostel concentration camp. Demobbed from the army in July 1945, Household found himself having to more or less start again as a writer after six years abroad, or as he put it, back at the bottom of the snakes-and-ladders publishing game. From then, right up to his death in 1988, he produced thirty books – thrillers, picaresque novels, children’s stories, science fiction and collections of short stories – all in a distinctive style which brought comparisons from the critics with the writing of Fielding, Defoe and Robert Louis Stevenson. 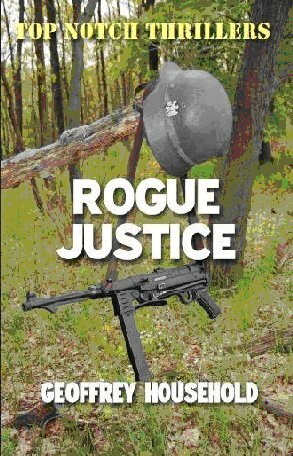 Yet it is for Rogue Male which he remains most famous and though publishers pressed him for a sequel for decades, it was not until, at the age of 80, that he began writing Rogue Justice. And just as the book, as well as being a cracking thriller of chase, flight and revenge, is a summation of the life and motivation of the once-anonymous Rogue Male – whom we now know to be Raymond Ingelram – it is also a summary of Household’s personal beliefs forged by his cosmopolitan existence in the 1920s and 30s and his time as a soldier. In Rogue Justice we learn that Ingelram is “an agreeable dinner guest (with) no political opinions whatsoever” and that he is a man with no use for democracy, but who detests dictatorships. Both descriptions, I suspect, could easily have been applied to Household himself who often referred to himself as a “romantic anarchist”. Certainly he had a loathing of state control on individual liberties, which he saw as inseparable from socialism, and admitted that “In argument with politicians I am always beaten. I cannot express what I believe, whereas they express what they cannot possibly believe.” But his real hatred was reserved for Hitler and the Nazis and for what they had done to “our once sweet Europe” and it is this passionate hatred which he gives his doomed hero Ingelram, with the added fuel of a very personal loss. Even before the declaration of war in 1939, Geoffrey Household declared that “My feeling for Nazi Germany had the savagery of a personal vendetta”. His autobiography records how he had “watched the gropings of my Europe back towards the lights which had gone out in 1914”. Despite the economic depression, the lights of his Europe had flickered into life, only to be extinguished by aggressive Nazism. No one could ever have accused Geoffrey Household, on the surface the ultimate “hunting, shooting, fishing English country squire” of being a ‘Little Englander’ for his liberal pan-Europeanism permeated his writing. Many of his thrillers are indeed set in a countryside where being able to ride a horse and shoot ‘for the pot’ are crucial requirements and those set in rural England (usually Dorset, Somerset or Buckinghamshire, all of which he knew well) give off the unmistakeable scent of cordite mingled with damp Tweed. Yet the attitudes and politics of his heroes are far from insular and in fact many of his protagonists often have dual nationalities or mixed backgrounds, as in Fellow Passenger (1952), Watcher in the Shadows (1960) or The Last Two Weeks of Georges Rivac (1978), yet in the best of them is always a strong strain of stiff-upper-lipped English gentleman. For all Ingelram’s self-imposed chivalrous rules of war – at one point he declares his private war to be over as he has crossed into Italian-occupied territory and he has no quarrel with Italians – we are left in no doubt that this is a vendetta which can only end in death, for Ingelram’s sole aim is to avenge that “dark, slender lioness of love and courage”, his one true love tortured by the Gestapo (“she had never been allowed the chance to kill herself”), the event which had sparked his initial attempt to assassinate Hitler in Rogue Male. The violence of the vendetta reaches the proportions of a pagan blood sacrifice and yet, when all seems lost and our hero contemplates suicide, the memory of his dead love – that ‘dark and lovely lioness’ – seems to appear to him and say, gently, “Not yet, not yet”. Our hero’s quest is, ultimately, nihilistic and doomed, just as it was from the start when the anonymous big-game hunter first placed Hitler in his telescopic sight. Even though Ingelram does not expect (or want to) survive, his story is, quintessentially, a romantic one and, taken together, Rogue Male and Rogue Justice form an astonishing achievement: a multi-layered story disguised as an action thriller. With the exception of Rogue Male, Geoffrey Household’s name has, inexplicably, dropped off the radar screen of the thriller-reading public since his death in 1988, though the almost mythical power of that extraordinary book should not be underestimated. As a thriller, Rogue Male shot Geoffrey Household into the same class as John Buchan (but without the Imperialist jingoism) and Eric Ambler (but without the left-wing political slant), way beyond the orbit of the more populist, two-fisted blood-and-thunder brigade such as the Bulldog Drummond stories by ‘Sapper’, Sydney Horler’s adventures of Tiger Standish or Dennis Wheatley’s updating of Dumas’ Three Musketeers. But then the war intervened and Household’s writing career was put on hold (as was Eric Ambler’s) until the late 1940s, early 1950s. In this, he was being as politely self-effacing as one of his own heroes, as other excellent thrillers followed, including Watcher in the Shadows, Dance of the Dwarfs and The Courtesy of Death, as well as a host of short stories and picaresque novels which toyed with politics (Fellow Traveller), science fiction (Arrows of Desire) and fantasy romance (Summon the Bright Water). Yet even in his more fantastical, sometimes surreal, novels his craft as a thriller writer shines through and all have the stamp of a unique stylist. It is impossible to think of any other author who could have written Household’s novels, or even a popular thriller writer who comes close in terms of writing style. His fiction was, and still is, held in high regard by succeeding generations of thriller writers. Rogue Male alone is said to have inspired David Morrell’s First Blood (better known as Rambo) as well as Frederick Forsyth’s Day of the Jackal. The graphic torture of the captured hero is also thought to have been an influence on Ian Fleming and the torture of James Bond in Casino Royale or his arduous extended escape from imprisonment by Dr No. Even in 1981, Jessica Mann in her flight-and-chase thriller Funeral Rites (also published as a Top Notch Thriller) has her woman-in-peril protagonist comparing her situation to the works of John Buchan and Geoffrey Household. The distinctive trade- marks of Household’s writing – his ‘craft’ as he called it – were his commendably lean, almost spare, prose style and a determined unfussiness when it came to narrative action. His preference seemed to be to introduce his hero as soon as possible, often supplying enough background information so that we know what he does for a living (and make clear that he is no super-hero), and then plunge him into the middle of some dangerous situation. Anything else we learn about the hero emerges later through his actions or reactions to adversity, or through the people who help him (as in Watcher in the Shadows), or what he tells us in ‘confession’ either in the form of a journal (Rogue Justice) or a diary, which in Dance of the Dwarfs we know from page one has been written by a dead man. Household wastes very few words on descriptive passages. Similarly, there are few long speeches or chunks of dialogue in Household’s work. Many thriller writers have specialised in stripped-down dialogue, particularly ‘hard-boiled’ American writers from Dashiell Hammett onwards, but Household does it in a particularly dry, very British way. He does not write wise-cracking dialogue for the sake of a good one-liner, though it can be very funny, nor even necessarily to advance the plot; but to give the reader an extra insight into the character of the speaker. And then there is Household’s unique skill in being able to bring the reader closer to nature, albeit a nature very red in tooth and claw. The central theme of most of his thrillers is the hunter and the hunted and many of his heroes are solitary (‘Rogue’?) figures, almost cat-like animals with their scented ‘runs’ and burrows where they take cover from their enemies. In Household’s world, ground is most efficiently covered on horseback and every dip in the landscape, every ditch, every hedge and every copse of trees is noted as a possible source of cover, camouflage or danger. Animal metaphors abound, nowhere more so than in Rogue Justice where the hero’s lost love (murdered by the Gestapo) is constantly referred to as a ‘lioness’ and it is a real lioness who finally brings him peace. An outstanding feeling for the terrain of an area (rather than any long-winded descriptive passages) shines through Household’s prose, whether it is the Dorset of Rogue Male and A Rough Shoot; the Chilterns and Buckinghamshire of Watcher in the Shadows (albeit that many of the places in that 1960 novel have subsequently become Milton Keynes); the grassy plains and jungle forests of Colombia in Dance of the Dwarfs; or the Polish marshes or Greek mountains of Rogue Justice. In a few brief phrases, Household transports the reader there and they are there as surely as a goat picking its way down a mountain path in the dark. Above all, Household’s thrillers are peppered, sometimes shot through, with his romantic pan-European liberalism. In many of his thrillers the hero exhibits all the attributes of the stiff-upper-lipped aristocratic English gentleman, yet without the concomitant snobbish crudities. He created noble, gentle and romantic heroes who were equally at ease with Romanian peasants, Greek shepherds, Spanish bandits, country pub landlords, Turkish generals, Hapsburg princes, retired admirals, or dowager duchesses. It is difficult to imagine such cross-cultural pollination in a John Buchan or a Dennis Wheatley thriller; or not without a sickly-sweet flavour of condescension. Most dust-jacket photographs of Geoffrey Household give the impression of a pipe-smoking English country squire dressed in tweeds who, you feel sure, is a stalwart of the local Conservative Association. In fact it was not until he was in his late Forties that Household settled down to a peaceful life in rural England. He had by then been married twice (once to an American beauty of Moldavian ancestry, then to a Hungarian whom he met in Palestine) and had lived in or visited enough countries from Persia to the Pacific to occupy a fair proportion of an Atlas. His youthful encounters with the social flotsam of the Hapsburg, Ottoman and Russian empires, easy-going Spanish farmers, native South American Indians, the Arabs of the Middle East and then Jewish settlers in Palestine, all contributed to the multi-national cast of characters he was able to draw on his fiction. And as long as they behaved decently to their fellow human beings (where Nazis and Soviet secret policemen clearly did not), Household viewed them with a sympathetic eye. The very breadth of his experience and the personal experience he could draw on exceeded that of John Buchan and Eric Ambler – the two authors he is most often compared to – and he firmly resisted the temptation, where Ian Fleming did not, to make all foreigners the villains of the piece. Geoffrey Household packed a fascinating life experience and his personal romantic internationalism into his fiction in short, sharp bursts. Most of his novels are short and by today’s rather overblown standards might be classed as novellas; and there is a good case to be made that he saw himself primarily as a short story writer. Indeed his stories still crop up in forgotten anthologies or old copies of magazines such as Argosy and one collection, Sabres on the Sand, published in 1966, garnered ecstatic reviews: “Extremely diverse in time, place and themes, consistent in skill, wit and excitement” (Financial Times), “Each plot constructed with the precision of a wrist-watch” (Sunday Telegraph), “Faultless” (Spectator) and “Superb craftsmanship” (Oxford Mail). Household himself clearly loved the short-story form and always maintained that the one book he wanted to be judged by was his anthology Tales of Adventurers, published in 1952 but sadly out-of-print ever since. 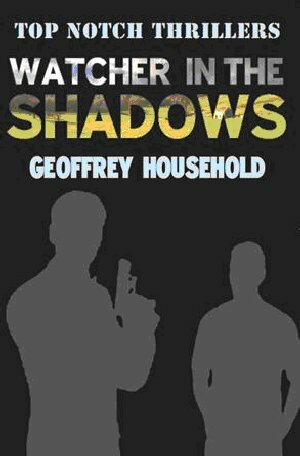 If he was occasionally criticised for striving too much for the exotic in his characters and settings, and for his clear enthusiasm for the Spanish picaresque tradition of story-telling, Geoffrey Household left a core legacy of exciting and imaginative thrillers told in a quite distinctive voice. The best of his work bursts with a powerful humanity and continues to outshine most of the mechanical, soulless, formulaic and risk-free thrillers published in the past fifty years. The latest, and the next, generation of thriller-writers would do well to read Household if they want to see a true craftsman at work. Mike Ripley is the Series Editor of Top Notch Thrillers, a crime writer and critic, and teaches a course at Cambridge in creative crime writing, where he has insisted on putting Geoffrey Household on the syllabus!